See a description of group sessions under the 'Classes' tab at the top of the page. 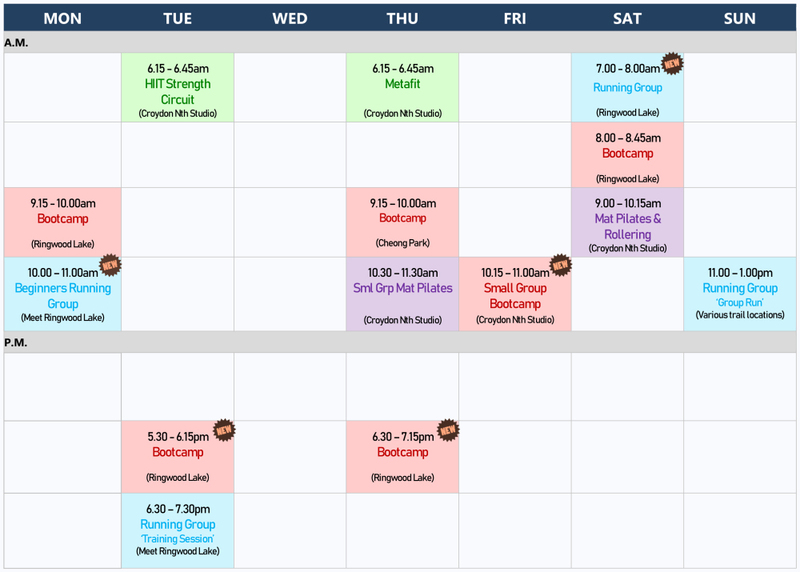 AYB Fitness classes can be easily booked online using PTMinder. Existing Users can sign in here (you will be emailed your password to get started). New users are welcome. You can get started right away. Or text me (0437 500 077) or PM me via Messenger and I can help you get started!